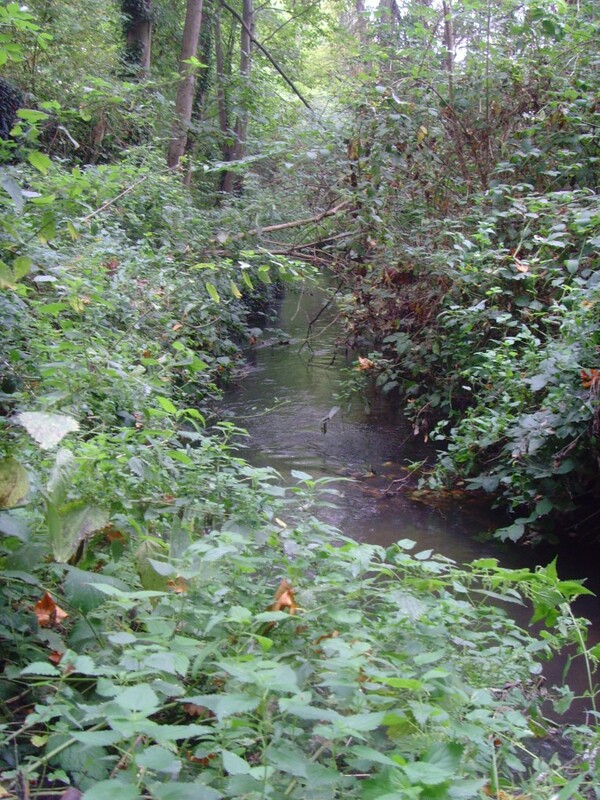 Our restoration projects along the Wandle are all progressing well, and it is time to introduce the next site on our list: the Ravensbury Park Back Channel. 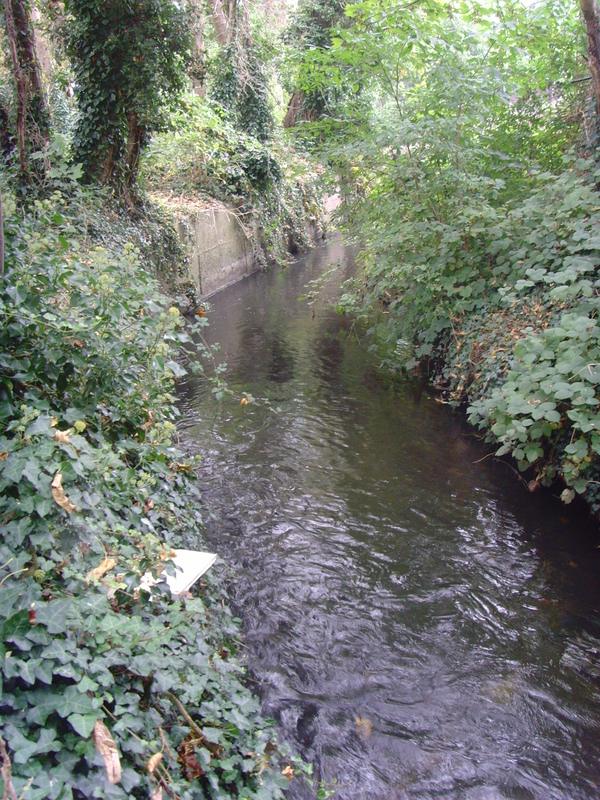 The Ravensbury Park Back Channel is a remnant of the industrial milling era along the Wandle. Back channels, or “by-pass channels” were used as a mechanism to control the water passing through a mill allowing us to increase or decrease the flow depending on how much power was required. 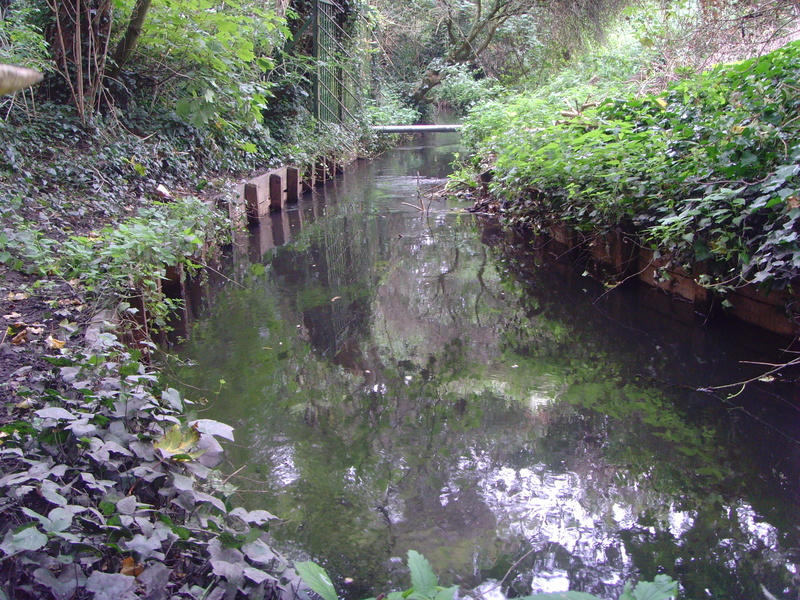 Although no longer used for this purpose, the back channel at Ravensbury Park has become part of the park’s landscape and could offer a valuable refuge for wildlife in the Wandle; in particular fish which could use the channel to by-pass the weir. Like so many urban and rural rivers, the Ravensbury Park back channel has been engineered and modified to contain the river within a predetermined channel. This removes habitat and creates a stream with little variation. To protect the surrounding landscape from flooding, the natural sloping banks of this stream have been replaced with concrete and wood. This creates a ‘hard-edged’ bank and prevents important natural communities of marginal and aquatic plants from establishing here. A more gradually sloping vegetated bank provides habitat for many different species of riverine wildlife. Without this habitat there is a significant loss of biodiversity. A high concrete bank removes all interaction with the stream ecosystem. The Ravensbury Park back channel suffers from low light levels due to a dense tree canopy. This canopy limits the growth of aquatic plants both around the stream as well as within the stream. Each of these issues on their own have negative consequences, but combined they significantly impact on the ecological structure and function of this little stream. Over the next few months, the Wandle Trust will be taking steps to restore the Ravensbury Park back channel. This work is being funded by Defra’s Catchment Restoration Fund, and is also part of the Heritage Lottery Funded Living Wandle Landscape Partnership. The main aim of the restoration works will be to create new habitats both in the stream and along the margins that will support fish, invertebrates and birds. More importantly, our works will provide a favourable environment for both aquatic and marginal plants which are a fundamental source of food and shelter for some organisms; vital for a thriving ecosystem. We will be working further on our plans for this stream so keep your eyes peeled for new updates. This entry was posted in Wandle Catchment Plan and tagged Fish passage, Ravensbury Park, River restoration, Wandle on October 29, 2014 by Luke.